We have already made huge waves in recycling but Amaia is doing it better buy having an Upcycling challenge in Sta. Rosa's Nuvali property. It's owned by the Ayala's. Upcycling basically means you have to make it worth more than what it seems. 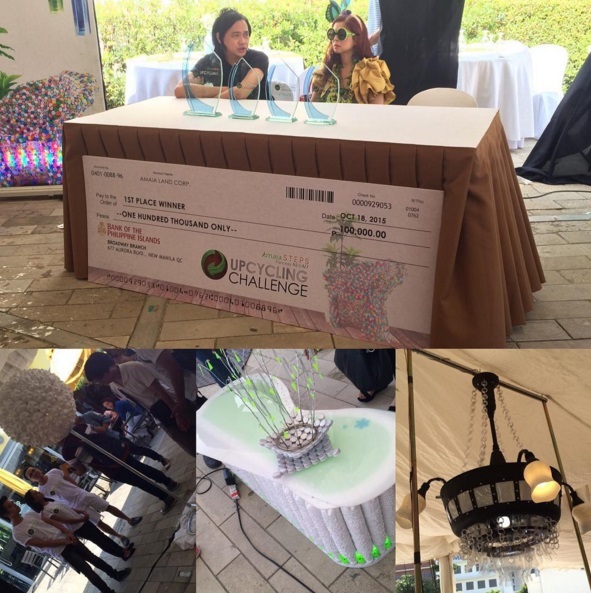 Contestants were given Php 3,000 for materials and they have to make something that is worth more than what they had, ultimately to produce something that would personify Amaia Steps Parkway and how simple it is to live and thrive in an environmentally responsible community. They all made these in 24 hours and the only thing they would need to include in the mix is softdrink pet bottles. Congratulations to the winners "The Illuminant"! I hope I could get to join this soon. The champion won Php 100,000 which was really big! They could start their small business after that!